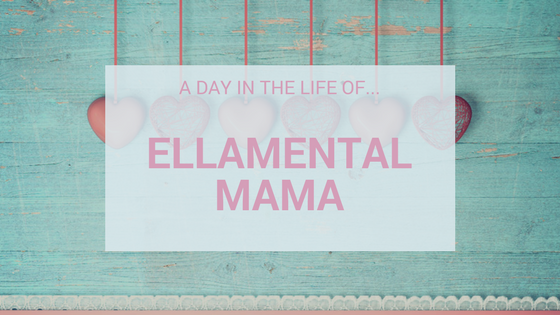 Today we have Ella from Ellamental Mama, Ella is a single mummy to a lively three year old. Her blog is an alternative and eclectic collection of musings on life as a solo mum and covers relationship breakdowns, mental health and feminist parenting. In all honesty there is no typical day for my son and me. As a solo parent with a three year old I have a lot of independence. We aren’t in much of a routine yet as we don’t have school to worry about and bedtimes are pretty flexible – I wouldn’t want to have to be home and starting the routine from 6pm as then the evenings would seem very long and lonely. Some days we have lots on with our lovely groups of single parent friends and others. Some days we have nothing on and it’s just me and the little one – either hanging out at home or exploring the city. The day I’m sharing with you is one of those quiet days where it was just me and him chilling out. They don’t happen all that often but they help to recharge the batteries and I love them. 07.30: I awoke with a dead arm thanks to my co-sleeping son. I crept out of the bed carefully so as not to wake him and went to the toilet. I managed to climb back in without him moving. Success. 09.30: My son woke up and started pinching my cheeks. It’s his favourite thing to do. It’s kind of annoying. I kept asking him to stop. He kept promising he would and continued anyway. Then he asked for songs. I sang about eight songs, mostly made up ones about him. (N.B. For those of you shocked at his wake up time he went to sleep at about 9.30pm the night before so he did his 12 hours like a good boy). 10.10: We had reached the end of my singing repertoire so I agreed to get out of bed and head downstairs. It was freezing (11 degrees) so I turned the heating on. I got yesterday’s leftover breakfast out of the fridge for my son and added some more cereal to it. He asked for stories, so I read him one of his library books in between mouthfuls as we both ate. 10.35: My son went into the lounge to play with his fire engine so I took the opportunity to sneak upstairs to retrieve my phone and catch up on messages. 10.36: My son realised I wasn’t with him and screamed at me to come downstairs. I told him to come up instead. He did. Any chance of writing messages was gone as he proceeded to jump all over me. Mainly on my head. 10.50: We went back downstairs. My son got out the big tunnel and rested it on the sofa. He spent a good few minutes pushing all his toys down it so I started writing this whilst I had a second. Then he resumed with the jumping on my head game. 11.05: Little one brought a big book over and we flicked through it looking at the pictures. I wondered how a supposedly calm and relaxing activity still ended up with him jumping on my head. There’s a theme here isn’t there! 12.15: Story time was finally over. The neighbours were blaring out their music so I suggested little one played his drum. Figured they couldn’t very well complain whilst they were already being noisy. We went upstairs to get dressed but soon got distracted by setting up train tracks (see picture, it was a pretty impressive one). 13.25: We were both finally dressed and an impressive train track had been built in his room. I went downstairs and put a wash on. Little one joined me in the kitchen and I made dinner. 14.15: My friend phoned for a catch up so I put little one in front of the telly so I could talk. Success. I had a really lovely chat with her after we’d been playing phone-tag for weeks. 15.15: My son switched the telly off. On his own accord. Amazing. Miracles are real. I remembered I hadn’t emptied the washing machine. I emptied it as my son ran round the house like a crazed toddler. We then got ready to get out of the house and it was a surprisingly unpainful experience. Little one wanted his bike, the one with the baby seat on the back and a dolly to sit in it. The plan was to go to the nearby soft play. We ended up walking via the park and checking out the ice which my son thought was brilliant fun. 16.40: We arrived at the soft play, the walk had taken longer than expected as I got sidetracked by a call from my ex. They’re never the most pleasant experiences but I’m getting much better at dealing with them now and this one wasn’t too horrendous as they go. I positioned myself near the entrance/ exit so that I could make sure my son stayed inside the place. Another friend who had been playing a different game of phone-tag with me called and despite all the noise in the background and the constant interruptions from my son we managed a good catch up chat. Two catch ups with friends in one day – I think this was some kind of record. 18.05: We left for home (in other words, we were the last people kicked out of the place). It was another slow walk home as we investigated the ice in the road. 18.30: We got home and I cooked tea with my little one’s ‘help’ and put another wash on. My son had a few tearful moments when he realised he’d left one of his toy cars at a friend’s house… Last week. We then played connect four whilst dinner cooked. 19.20: Finally we got to eat dinner. 19.35: I emptied the washing machine, only to suffer a toddler inflicted head injury that ended in a lot of tears. It’s moments like that I hate being a single mum because it reminds me that if anything bad happens we are on our own and I worry how long it would be before anyone noticed. I’ve even started teaching my son about 999 just in case. Head pain receded significantly and I figured I was unlikely to fall unconscious anytime soon so we headed upstairs to bed. 20.00-21.00: We did the bedtime preparations – tooth brushing, putting on PJs (after they’d been warmed on the radiator), read stories, sang songs and had lots of hugs. I left him awake but happy in my bed. This is a new thing for us and it’s really great after all the sleep struggles we have had. 21.00: Yay, finally some me time. Today it involved clearing up after tea time and doing some work emails. Oh well, at least no one was jumping on my head too. 21.45: I crashed in front of the telly and watched some rubbish. 23.00: I dragged myself off to bed ready for a new week tomorrow. And so ends another day as a single mum. If you would like to find out more about Ella, head over to her blog or follow her on Twitter and Facebook. If you would like to take part in my A Day In The Life Of… Series, drop me an email at [email protected] I would love to have you.